I have to admit, when I found out we were having a girl I was p r e t t y excited to go shopping for her. 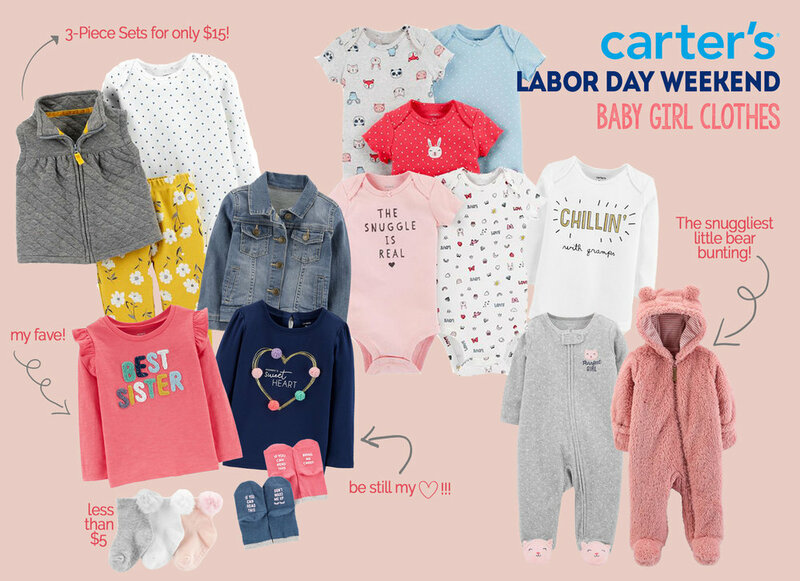 We went shopping the day after the reveal and scored some of the cutest clothes from the Carter's outlet in Pooler and lucky for y'all, it's ALL on sale this weekend! I've linked some of my favorite finds and the good news is everything is less than $20! So if you have a little princess on the way (or know someone who does) now would be a great time to stock up on clothes for baby girl! Aside from these pieces, we also got an assortment of pint-sized leggings for like two/three bucks so I would definitely recommend checking those out! We've still got six more months til sweet Aria makes her debut, but there's one thing for sure- she will have plenty of clothes when she does!